There are several simple principles that can make Google happy with your website. Google is created to give searchers results, that’s why it is looking for the pages with qualified information as 90% of its users are looking for information. Google itself wants the organic results full of information. Almost all websites will link to relevant information content so content-rich websites get a lot of links – especially quality links. Google ranks websites with a lot of links (especially quality links) at the top of its search engines. Develop thinking that is predominant in Google and build a site which Google engineers will want to give top rankings. Knowing that can help you to adjust your website and equip it with such a content that can be a significant step forward the leading role in the sphere. Create an informative content because this type of content will rank you high in google criteria. Ranking in organic listings is a lot of trusted links making trusted pages rank, making trusted links making trusted pages rank ad nauseam for various keywords. Some pages can pass trust to another site; some pages cannot. Some links can. Some cannot. Some links are trusted to pass the ranking ability to another page. Some are not. If you want to rank and avoid penalties and filters you better get links from trusted pages. You may ask what do we mean by such a term Google – oriented content. Well, Google is a link-based search engine. Google doesn’t need content to rank pages but it needs content to give to users. Google needs to find content and it finds content by following links just like you do when clicking on a link. So you need first to make sure you tell the world about your site so other sites link to yours. Reciprocating to more powerful sites or even real sites adds to your domain authority which is better to have than ranking for just a few narrow key terms. The best way for Google to keep rankings secret ultimately is to have a randomness – or, at least, a randomness on the surface, as it is presented to users of Google – to it while keeping somethings stable – surely the easiest way for it to prevent a curious optimizer finding out how it works. You can improve your website hypothesis based on the sensible approach bearing in mind what a Google engineer would do, and what you would do if Google were yours. Randomness in Google manifests itself in many ways. What will work for some sites might not necessarily work for your sites – not the same anyway. Perhaps no two sites are the same (the conditions are different for a start for any two sites). There is a secret on how to turn into the one to understand anyone and anything: simply think like them and on this basis mind their actions. We have already given a recommendation about Google engineer thinking and mentioned those specific peculiarities of Google. Google may play dice with the Google multi-verse so be aware of that. It uses multiple results and rotates them and serves different results to different machines and browsers even on the same computer. Google results are constantly shifting – some pages rank at the top constantly because they are giving Google what it wants in some areas or they might just have a greater number and diversity of more trusted links than you do. Google has a long memory when it comes to links and pages and associations for your site – perhaps an infinite memory profile of your site. Perhaps it can forgive but never forget. Perhaps it can forget too, just like us, and so previous penalties or bans can be lifted. It depends on the site because Google can work out if you have a blog or an e-commerce site. Also, Google probably looks at different history versions of particular pages even on single sites. What relationship do you want to have with Google? Onsite, don’t try to fool Google – we’re not smart enough. Be squeaky clean on-site and make Google think twice about bumping you for discrepancies in your link profile. Most of our more lucrative accounts come from referrals from clients who trust us. Before clients told them of us, they didn’t know about us. Ok, they might have heard about us from people, in turn, they didn’t trust that much. Upon the client’s testimonial, the referral now trusts us a lot more. These referrals automatically trust us to some extent. That trust grows when we deliver. The referral now trusts us very much. But it’s an uphill struggle from that point on to continue to deliver that trust and earn even more trust because you don’t want to dip in trust – it’s nice to get even more and more trusted. Google works the same way as this human emotion, and search engines have tried for years to deliver a trusted set of sites based on human desire and searcher intent. Don’t break Google’s trust – if your friend betrays you, depending on what they’ve done, they’ve lost trust. Sometimes that trust has been lost altogether. If you do something Google doesn’t like manipulate it in a way it doesn’t want, you will lose trust, and in some cases, lose all trust (in some areas). For instance, your pages might be able to rank, but your links might not be trusted enough to vouch for another site. Do good and it will return to you. If Google trusts you it will let your pages rank and in turn, vouch for other pages, or ‘friends’, Google might want information on. When Google trusts you it’s because you’ve earned its trust to help it carry out what it needs to carry out in the quickest and most profitable way. You’ve helped Google achieve its goals. It trusts you and it will reward you by listing your contribution in order of the sites it trusts the most. It will list friends it trusts the most who it knows to be educated in a particular area at the top of these areas. You need to make more friends and especially those who are friends with Google. But please, remember Google is fooled and manipulated just like you can be and if you lose this trust it may end very painfully. You better treat Google as you would want it to treat you. Remember it takes time to build trust…. and that is probably one of the reasons why Google is pushing the need to be ‘trusted’ as a ranking modifier. Google wants us to wait for things to happen on their end but consider trust to be a psychological emotion Google is trying to emulate using algorithms based on human ideas. If you want to rank for specific keywords in very competitive niches, you’ll need to be a big brand, be picked out by big brands (and linked to), or buy links to fake that trust, or get spammy with it in an intelligent way you won’t get caught. So, these are the dos that will help you to get more and more traffic from Google over time. Now, let’s speak about don’ts. There is basic organic search engine optimization starter guide offered by Google. But we feel it is important to warn you that as soon as you get interested in it it’ll automatically rank your site first for queries in Google. So we would recommend to mind the following practices to make it easier for search engines to both crawl and index your content. 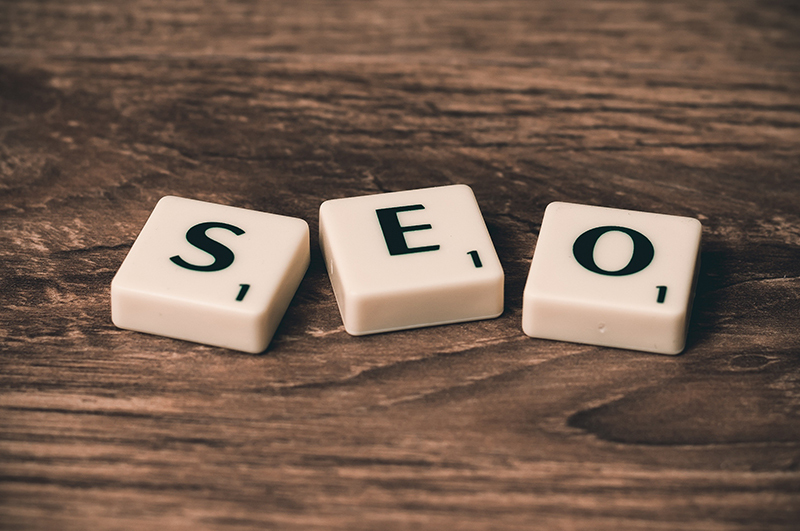 We have already posted an article about keywords and how to use them wisely for the benefit of your company because keywords can improve your rankings or get more converting organic traffic. These are straightforward ideas that will be useful if you put the above together with Google Guidelines for webmasters. 1. Avoid duplicating content on your site found on other sites. Yes, Google likes content, but it needs to be well linked to, unique and original to get you to the top! 2. Don’t hide text on your website. Google may eventually remove you from the SERPs. 3. Don’t buy 1000 links and think “that will get me to the top!”. Google likes natural link growth and often frowns on mass link buying. 4. Don’t get everybody to link to you using the same “anchor text” or link phrase. This could flag you as a ‘rank modifier’. You don’t want that. 5. Don’t chase Google PR by chasing 100′s of links. Think quality of links….not quantity. 6. Don’t buy many keyword rich domains, fill them with similar content and link them to your site. This is lazy and dangerous and could see you ignored or worse banned from Google. It might have worked yesterday but it sure does not work today without some grief from Google. 7. Do not constantly change your site pages names or site navigation without remembering to employ redirects. This just screws you up in any search engine. 9. Do not link to everybody who asks you for reciprocal links. Only link out to quality sites you feel can be trusted. Search engine optimization is often about improvements for the better. Small modifications to parts of your website can make an impact on the overall state of your affairs. When viewed individually, these changes might seem like incremental improvements, but when combined with other optimizations, they could have a noticeable impact on your site’s user experience and performance in organic search results.